Finnish authorities say that mothers should breast-feed longer than 4-6 months because the benefits of extended nursing include fewer respiratory and ear infections. 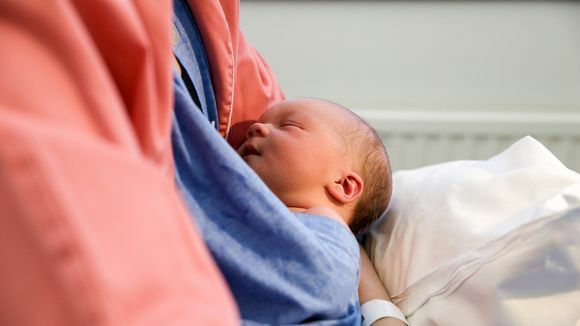 Finland’s National Institute for Health and Welfare (THL) has launched a programme which aims to support new mothers with breast-feeding by providing hospitals and welfare clinics with consistent guidelines. The guidance that mothers have received varies a lot, says Kirsi Otronen, a nurse at Helsinki child welfare clinics and one of the programme's authors. "The most critical time to give support in breast-feeding are during the first days in the hospital and the first few month at home. Mothers and families need more help in order to succeed." While babies in Finland are breast-fed longer than in many other Western countries, THL is keen to further boost breast-feeding due to the health benefits it offers. According to Otronen, breast-fed babies have fewer respiratory infections, diarrhoea and ear infections. Research also shows that breast-feeding babies for an extended period protects them from type-2 diabetes and overweight. THL recommends that babies are breast-fed exclusively until they reach 4-6 months of age. That has been the recommendation until now, but on average Finnish mothers do not follow through. In 2010, about 10 percent of 6-month-old babies were breast-fed exclusively while two-thirds were nursed and bottle-fed. Tasting of solid foods can be started at 4-6 months, but nursing should continue alongside until at least the baby turns one year. How long mothers breast-feed depends on their education. About 80 percent of mothers who are highly educated nurse their 6-month-old babies, while only 20 percent of mothers at the lowest educational levels do. The guidelines say that breast-feeding should be started within an hour after the birth. In future, all expectant mothers will be offered information about nursing at child welfare clinics. While most mothers start breast-feeding, some give up due to pain, the baby’s refusal to nurse, or worries that the breast milk fails to offer enough nutrition for the baby. According to Otronen, if a mother has the desire to breast-feed, professionals should support her with all possible means. However, the new programme is not planned to make mothers feel guilty if they quit nursing, she adds. "Of course the welfare of the mother is the most important thing. Skin contact, closeness and early interaction support the well-being of the child too," Otronen says. In recent years, the question whether mothers should breast-feed in public has led to heated discussion. If we had a law that guaranteed the right of mothers to breast-feed publicly, this wouldn't be an issue, says Anitta Nykyri, a midwife at Oulu University. Also, the return of the mother to work should not automatically lead to the end of breast-feeding. "Offices could include a peaceful space where a mother could nurse her baby, or pump milk for later use", she adds.